Shure Beta 58A vs Sennheiser E935: Is There Any Difference? As Shure and Sennheiser continue their rivalry; they never stop to amaze us with the unflinching reliability and excellent build quality of their products. Now in this post, we are dealing with Shure Beta 58A and the Sennheiser E935. Which one is the winner in this Shure Beta 58A vs Sennheiser E935 bout? 1 Shure Beta 58A vs Sennheiser E935: Who is the Winner? Shure Beta 58A vs Sennheiser E935: Who is the Winner? If you’ve ever done research on mics you must be knowing that stuff that need not be mentioned in this review is the build quality of the two microphones. The Shure Beta 58A comes with what it’s best known for the legendary Shure ruggedness, durability and build quality. It features an advanced pneumatic suspension beneath the hood which drastically cuts down the handling and external noise. The Sennheiser E935 also has a solid build and is made for live performances which can easily withstand dynamic handling and the gigs. The mic has a metal body and contains an advanced shock mount design which keeps the noise away from the diaphragm. Both come with XLR connectivity. Shure Beta 58A also comes in wireless option. It employs GLX and QLX technologies for emitters and transmitters. Coming to the durability, the 10 years warranty of the Sennheiser E935 surely does provide relief in case of accidental drops. The Beta 58A has a 2 years warranty. The Beta 58A is made for rock vocals, while for female vocals and jazz one should go for the E935. If you are spending your bucks on a microphone, the most crucial aspect to look into is the sound quality of the microphone. Now both mics in focus provide an excellent audio output, and that’s exactly why you may have a hard time choosing the best out of both. Sit back as we make it a bit easy for you. 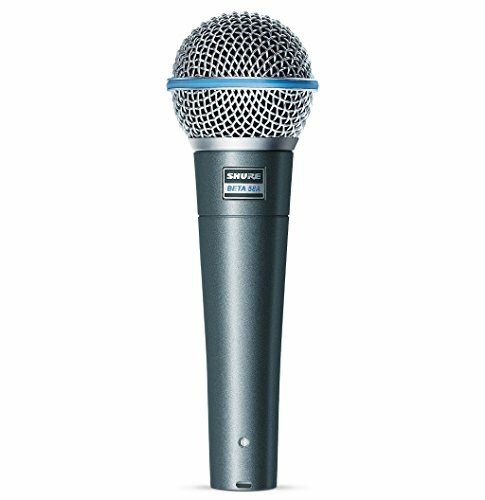 The Shure Beta 58A is a dynamic live vocal microphone with a supercardioid polar pattern. That assures the tight pick up (115 degrees to both side of the axis) and very less sensitivity to sound beyond 120 degrees. The result is a crisp audio output which is both crystal clear and has a nice warmth to it. Added to it is a Neodymium magnet which provides increased sensitivity to the microphone, the Beta 58A is an absolute catch. However, the supercardioid pickup may give you some audio hitting directly from the back of the mic and produce gain before feedback. The Sennheiser E935 has a cardioid pickup pattern, meaning it has a wider pickup angle (130 degrees to either side of the axis). So it may contain a little ambiance in its output. The Neodymium magnet ensures high sensitivity and crisp and clear audio output. The Beta 58A sports a supercardioid pickup pattern and a frequency response of 50-16kHz. The result is a vocal that cuts through the mix with a sparkling high-end. The Neodymium magnet gives more punch in the upper range, but it also adds girth to the overall frequency response. The Sennheiser E935 gives you a very sharp and balanced output in the upper range. It has a smooth response range. 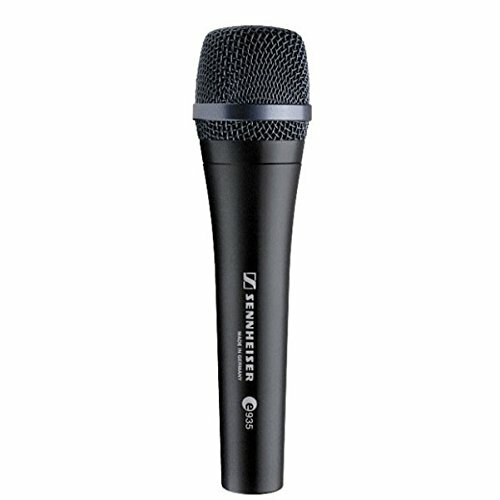 The E935 is a dynamic vocal mic and is an absolute workhouse when used on stage. The Shure Beta 58A has a pretty flat and unobtrusive audio output in the mid-range. The powerful magnets provide a pretty warm vocal in the mids. The sound is pretty clear and crisp. The Sennheiser E935 has a very good mid-range. The sound has a good presence to it. The Shure Beta 58A is having a more low-end presence. It has a good vocal presence but not as good as the E935. It’s a really good choice for rock vocals. The Sennheiser E935 does magic in the low-end. The output really boosts the vocals and the bass but not to ground shaking levels. However the presence in the Sennheiser E935 is bit better than Beta 58A. Although both of them have neodymium magnets, the E935 vocals cut through the mix better than Beta 58A. A little gain before feedback from the audio coming directly behind the mic. 1. Sennheiser e835 vs Sennheiser e935-Let's End This Debate! 2.Sennheiser E935 vs E945: Which Microphone Should You Buy? So which of the two mics is the winner in this Shure Beta 58A vs Sennheiser E935 bout? If you want a mic for rock usage then go for the Beta 58A. For jazz and female vocals go for the E935. The Shure Beta 58A has unobtrusive audio output in the mid-range. By considering the sound quality, Sennheiser E935 provides an excellent soundstage experience with the crisp and sharp output. For us, the winner is Sennheiser E935.